[INQ. NO. 1506E14] Established in 1998, ITX Security mainly manufactures Digital Video Recorders (DVR), Full- HD IP Cameras, CCTV Cameras and Vehicular Black Boxes, leading the local security market. DVRs developed and manufactured by ITX Security have emerged as staple products in the domestic imaging device market based on independent technology, and their performance is highly recognized, to the extent that 39.1% of the total products are exported to North America and 26.5% of them are exported to Europe. ITX Security provides the best security solutions to clients on the strength of diverse equipment, including next-generation control systems, PC-based DVRs and specialized camera lines, as well as skilled engineers. It also makes efforts to acquire advanced quality management systems and achieve sustainable managerial development by obtaining the Certification of Quality/Environment Management System (ISO 9001, ISO 14001). The company aimed to develop intelligent CCTVs that could save high-quality images and that boasted user-friendly design and image analytics functions. ITX Security started conducting a technology development project for the purpose of developing a wire-andwireless IPbased next-generation intelligent imagerecognizing device. The existing DVRs that had been manufactured by ITX Security compressed imaged recorded in a camera and digitally saved them on a hard disk. Taking this a step further, the company produced the Network Video Recorder (NVR), an image device equipped with a built-in web server. As it has its own IP address, it can transmit data from an imaging device to a PC, making it possible to watch images without separate conversion. 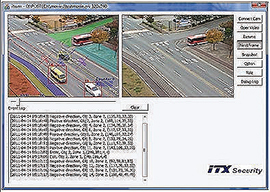 Technologies developed by ITX Security include profiling, distributed data processing and video analytics. This technological development made it possible to effectively control megapixel image data exchanged on the NVR network and realize intelligent image surveillance that helps proactively respond to crimes. The first reason why ITX Security gained a competitive edge in the CCTV market is that it made investments in human resources. Since the company decided to develop a new technology in the nextgeneration image security market, it considered the introduction of the best engineers as the top priority. It was not easy to induce excellent engineers to join new R&D projects conducted by venture companies in the beginning. Engineers showed an unwillingness to join R&D projects conducted by venture companies that faced an uncertain future. However, the executives of ITX Security succeeded in persuading engineers after several attempts, and they were able to secure excellent human resources. This was due to the fact that the executives were able to make engineers understand that ITX Security could take a leading role in the CCTV industry only when its corporate potential was combined with engineers’ strong competence. The second reason why ITX Security gained a competitive edge over other imaging device providers is that the company was able to come up with an idea to enhance convenience on the part of users. As IP product groups exchange data on the network, each and every device owns an IP address. 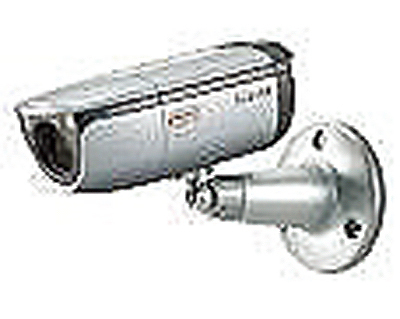 Existing DVR systems had a simple structure where a camera is connected to a DVR and coaxial cable. On the other hand, an NVR had a structure where multiple cameras go through a network switch to be reconnected to the NVR, and various network set-ups, including IP address setup and sharer option setup, have to precede this. Ordinary people who have used CCTVs might have found this process difficult. 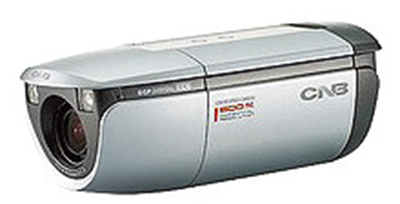 ITX Security increased the number of LAN ports from one to four to simplify the “Camera-Sharer-NVR” process to a “Camera-NVR” process based on a one-onone connection. In addition, instead of the sharer, network functions were added to enable an NVR to recognize a camera as soon as the camera is connected to a LAN line. The idea was aimed to help users experience better performance without a drastic change in existing methods given that CCTV users are small business operators unaccustomed to using a computer. The process elicited a prompt response from excellent security companies at home and abroad as soon as it was introduced in an exposition, and it also led the company to meet S1, Korea’s largest security company. ITX Security emerged as the first mover in the IP product group market by boldly changing existing analog image surveillance products into IP-based image surveillance ones. Prior to the new technology, main products were confined to DVRs, and the company recorded 40 billion won in annual sales while reaching a plateau. However, it was able to post 30 billion won in sales of IP cameras and NVRs in the first half of this year after development of the new technology, and it is expected to record 80 billion won in sales this year. Two years of efforts to create jobs was not wasted. Their employees, who numbered 160 prior to the project, were increased to number 200. The global image surveillance market is expected to grow by 14% per annum for the upcoming five years, and the NVR sector is expected to record an annual growth rate of 24%. Also, as analog CCTVs are replaced with digital ones, and demand for CCTVs in public institutions is soaring, the outlook for ITX Security is more positive. ITX Security is expected to record 120 billion won in sales in 2014 and 150 billion won in 2015, growing 25% or more every year in terms of sales. Confidence in product planning and manpower on the back of “Time to Market” is the greatest advantage and asset owned by ITX Security. ITX Security decided to advance into the interactive technology sector instead of settling for the manufacture of existing products. Filed Under: Export leader Tagged With: black box, cctv camera, Digital Video Recorders, Full- HD IP Camera, ITX Security Co. Ltd.
[INQ. NO. 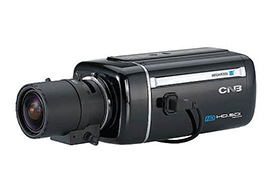 1506E07] CNB Technology’s anti-saturation “Intelligent IR” technology brings the clearest video images during darkness or in any conditions. This sophisticated technology dramatically eliminates the biggest problem of the current majority of other IR cameras by distinguishing the closer objects with control of the IR sensitivity – while still providing sharp pictures without saturation. CNB’s CCTV camera “CCM-20VF/CCM-21VF” provide naturally sharp pictures through automatically compensating for the darker areas surrounding the object. Easy to install, they can set a privacy zone function to make perfect private areas. Equipped with day& nightfunctions, they can deliver the sharpest pictures even in very low ambient lighting. During the past several years, CNB has made its annually steady sales record and growth amounting to US$120mil. annually. With such impressive growth drive, it becomes one of the top security camera makers & exporters in Korea. The global manufacturing facilities in Korea and China also helped the company accomplish a 40% annual average growth rate. 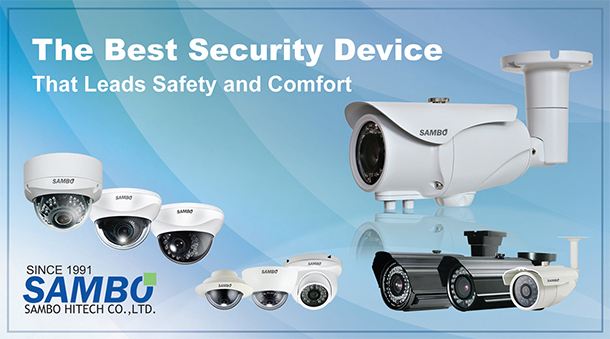 Founded in 1991, Sambo Hitech has been professionally engaged in manufacturing various styles of CCTV equipment. The current ready products for business partners include CCD cameras and DVRs, full HDSDI camera & HD-SDI DVRs, HD network IP camera & NVRs, etc. Sambo Hitech has been shown its conspicuous strengths in applying the latest electronic technology for homes , offices and factories for security and safety. Sambo Hitech supplies its CCTV cameras to Global companies by ODM after passing a series of strict tests on quality, as a result of the consecutive release of advanced technology. For this year, especially, Sambo Hitech prepared two representative product groups – Effio-V&Effio-A CCTV cameras, HD-SDI CCTV cameras. The former group supports advanced WDR, 3D+2D-DNR, function of intelligent scene recognition, function of lens shading compensation, electronic zoom, digital image stabilizer, IR optimizer, etc. The latter group employs 2.1M CMOS, full HD resolution(1100TVL), 1920×1080 pixels/30fps, 1280×720 pixels/60fps, WDR/3D-DNR, etc. Based on the reliability accumulated through the conventional models on some countries in the continents of Europe, the Middle East, Africa, South America, etc., Sambo Hitech is again attempting to gain a new wave of popularity in those regions, with such new competitive advanced CCTV cameras. Filed Under: KOTRA Tagged With: cctv camera, full HDSDI camera & HD-SDI DVRs, HD network IP camera & NVRs, Sambo Hitech Co. Ltd.
[INQ. NO. 1304E07] CNB Technology’s anti-saturation “Intelligent IR” technology brings the clearest video images during darkness or in any conditions. This sophisticated technology dramatically eliminates the biggest problem of the current majority of other IR cameras by distinguishing the closer objects with control of the IR sensitivity – while still providing sharp pictures without saturation. CNB’s CCTV camera “CCM-20VF/CCM-21VF” provide naturally sharp pictures through automatically compensating for the darker areas surrounding the object. Easy to install, they can set a privacy zone function to make perfect private areas. Equipped with day& night functions, they can deliver the sharpest pictures even in very low ambient lighting. If you want more information about ‘ Intelligent IR ’, please contact us.